There’s always something happening here, and someone hard at work, making it happen. Well we think our friends and neighbors deserve a little attention. Here, we shine the spotlight on a local person, place or organization whose contribution helps make Albany that much more special. If you have ever eaten at Harvest Moon, The Catch, or Henry Campbell’s Steakhouse, just to name a few, then you can attest to the commitment and dedication Stewbos has in providing delicious food and excellent service to the community. Recently named 2014 Small Business of the Year by the Albany Area Chamber of Commerce, Stewbos credits their success to their beloved Albanians. Bo Henry started the Stewbos brand with the opening of Harvest Moon in 2001. After his brother-in-law Stewart Campbell came aboard they added five more businesses to the hospitality brand: The Catch Seafood Room & Oyster Bar, Henry Campbell’s Steakhouse, Merry Acres Inn & Event Center, The Manor House Pub at Merry Acres Inn and Merry Acres Restaurant. Stewbos will be adding is seventh location later this year with the re-opening of a drive-through/walk-up restaurant. In 2014, Stewbos was honored as the Albany Area Chamber of Commerce “Small Business of the Year,” and credited the award to their employees. During the Small Business Celebration Henry explained that they have been blessed with wonderful employees, and their hiring plan is simple: They hire from the Albany area; they don’t mind giving young people a chance to prove themselves, and they promote within their organization. Stewbos has expanded exponentially and now employs 150 part and full-time employees. This growth increased their percent revenue by 1,000 percent adding significantly to the local economy. Although Stewbos has and continues to make an impact on the economy, they are deeply involved in community. They support charities, service organizations, and sponsor entertainment events. Stewbos believes that to truly make an impact in your community and turn things around you have to roll up your sleeves and get to work. Being deeply rooted in the Albany community exemplifies the purpose of the Only One Albany campaign; working together to make Albany a better place for ALL of us. We salute Stewbos and all of their employees and supporters. As our very first “Spotlight,” we wanted to highlight an organization that dedicates itself to giving back to the Albany-Dougherty County community. Although there are many organizations that fit the bill, we thought it would be best to choose one that is homegrown, right here in Albany. With that being said, our very first “Spotlight” features Mission Change. 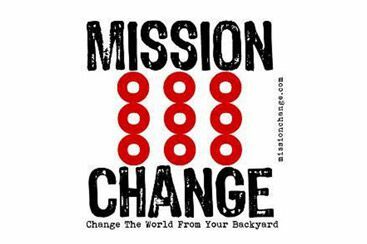 Founded in 2008 by Todd and LaDonna Urick, Mission Change is a grassroots, volunteer-driven, 501(c)(3) non-profit organization dedicated to raising awareness and taking action concerning often overlooked issues such as homelessness, drug and alcohol abuse, the needs of inner city youth, food security and much more. Focused on putting “faces and stories” to populations that are often ignored, Mission Change prides itself on not only being a resource for those in need but also an outlet for those who want to serve. Mission Change’s Monthly Missions have become the heartbeat of the organization. These monthly activities give volunteers the opportunity to come together to use their time and effort to help others. With Monthly Missions focused on everything from senior citizens to hunger to health, Mission Change hopes to change the world from its own backyard. We salute Mission Change and all of its volunteers and supporters. After all, There’s Only One Albany and together we can make Albany a better place for ALL of us.